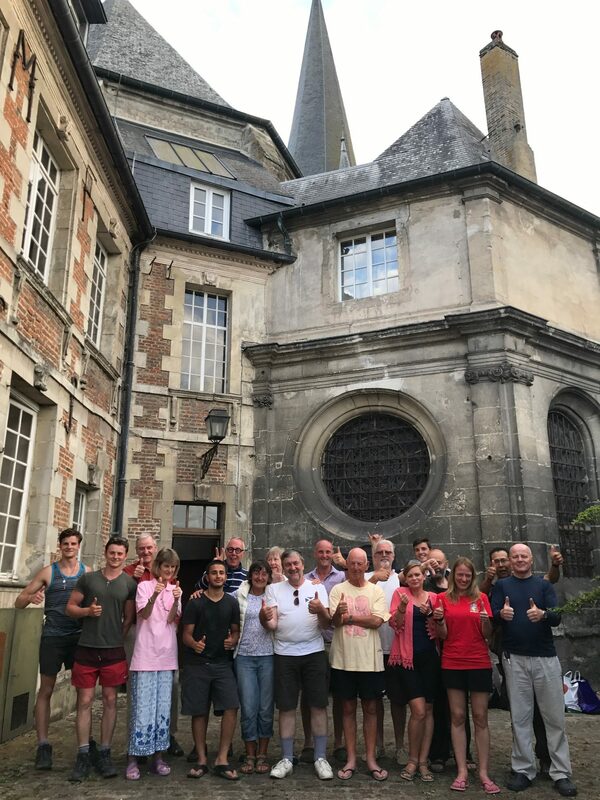 A large group of 16 pilgrims, of all ages and stages of life, set off this week to walk the 100 miles from Brienne-le-Château to Laon. 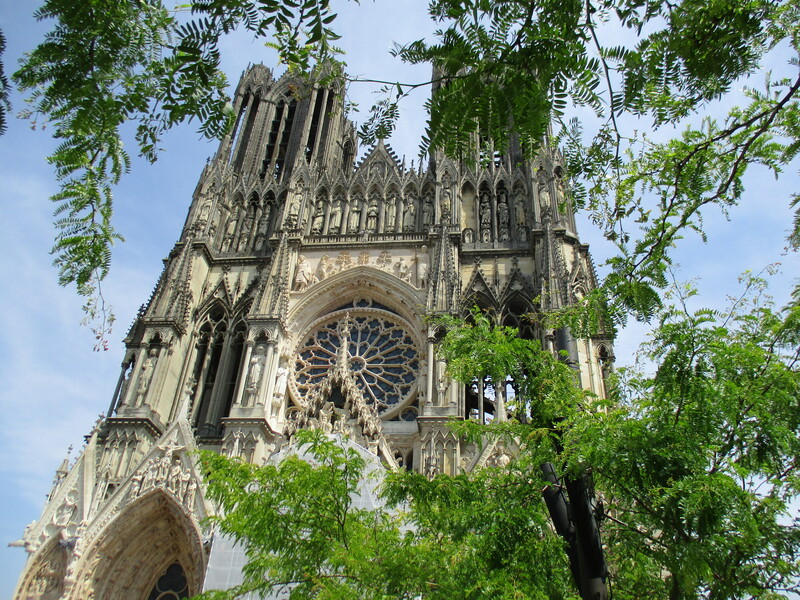 The first few days were spent walking along blisteringly hot, dazzling, endlessly straight Roman roads and when temperatures hit 35C Jai wisely called a halt. 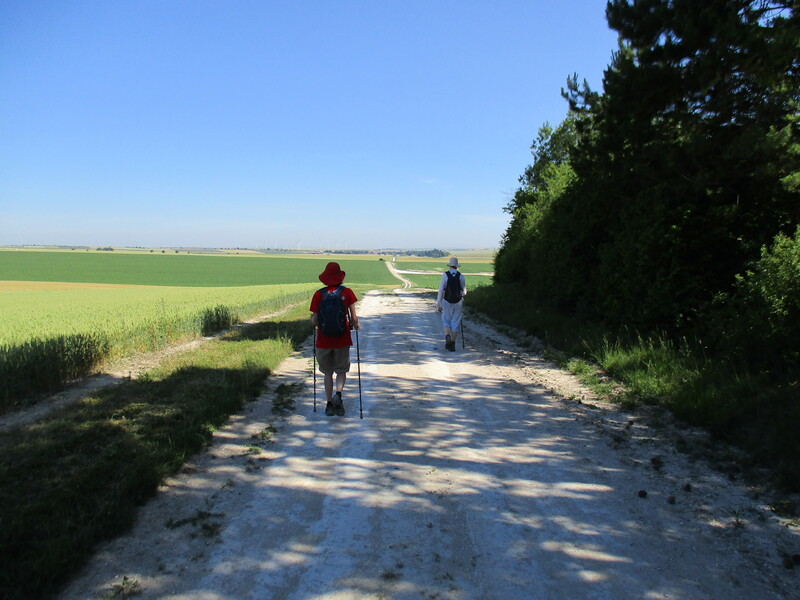 On reaching the Marne, conditions became much more pleasant and we enjoyed shady tracks though lush champagne country. 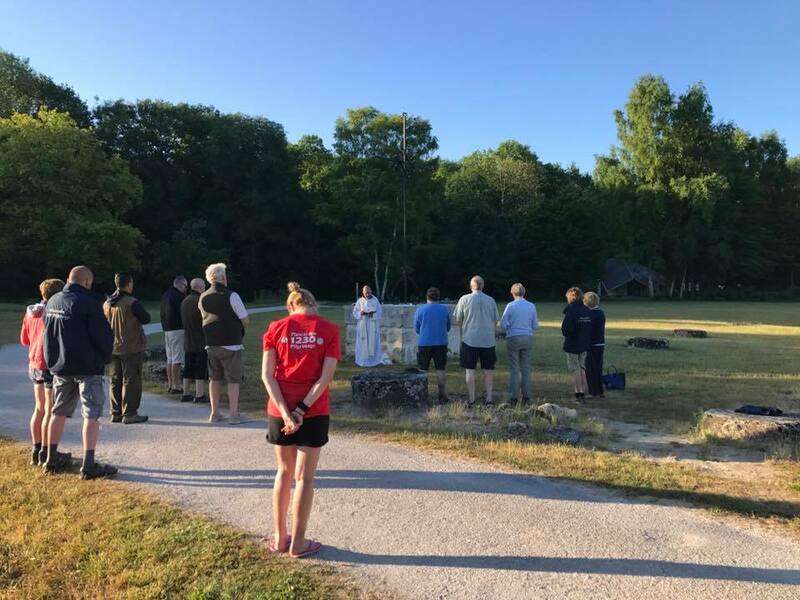 One of our night stops was at the beautiful Château de la Bôve where we enjoyed Mass and, although our accommodation was not in the chateau itself, the owner Mr de Benoist kindly invited us to share a glass of champagne with him on the terrace and we felt very grand. 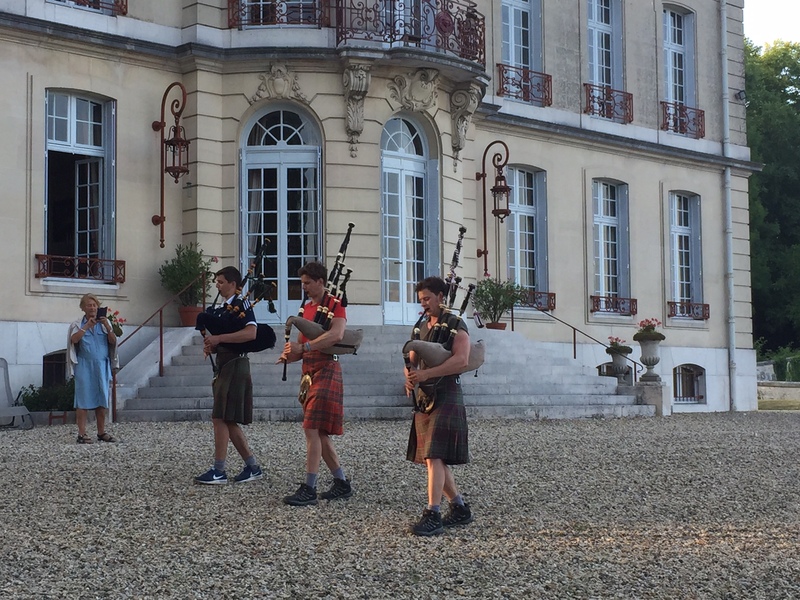 We were accompanied this week by the three younger MacGillivray brothers (all pipers) from Tain, who entertained throughout the week with impromptu performances, including the Marseillaise, in villages we passed through, not to mention at a local wedding we happened upon! Made it to the end of another day!